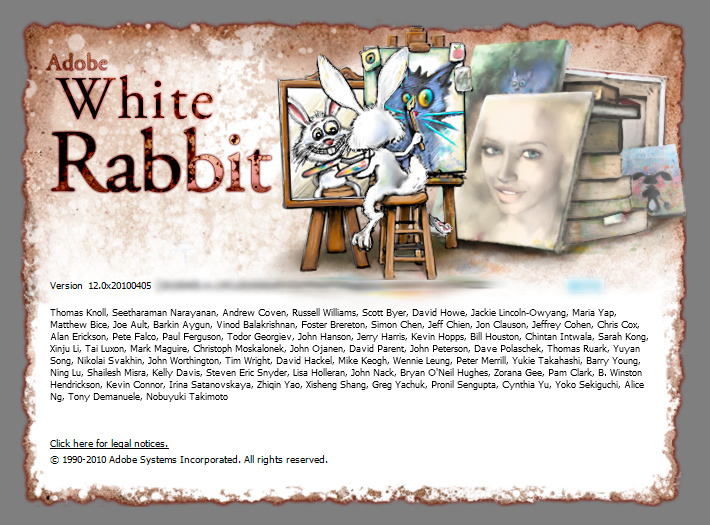 The codename of Photoshop v. CS5 [12.0] is White Rabbit. Adobe like to invent various “codenames” for their apps, when a new major development cycle starts. 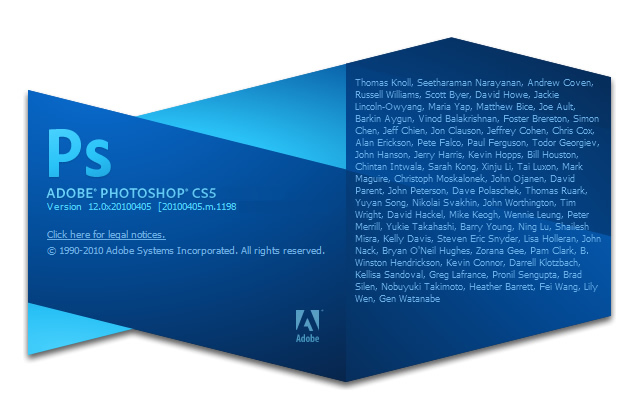 For example, Fireworks CS5 was “Starman”, Dreamweaver CS5 — “Bowie”, Illustrator CS5 — “Ajanta”, etc. (I mention specific names because I don’t think they are such a big secret, and because the CS5 apps were released officially more than 2 months ago, at the beginning of May). But there’s something that maybe not a lot of people know — initially on the splash screen of Ps CS5 White Rabbit there was… a white rabbit! Later, of course, this splash screen was replaced with the “official” one for the CS5 series (in the case of Ps CS5, it reminds me a bit of a blue fish, turned to the right). 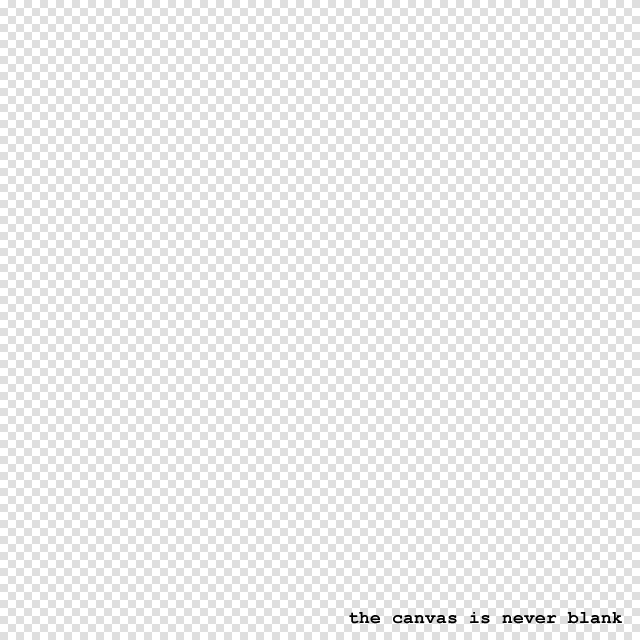 If you’d like to see this hidden “unofficial” splash screen, hold Ctrl (Cmd) while clicking on the About Photoshop item from the Help menu.